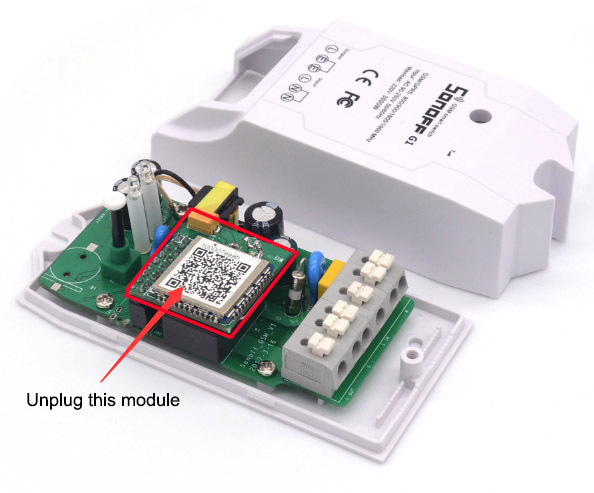 Hi, welcome to use Sonoff G1! The model consumes its 2G data to communicate with the server, no WiFi network needed. Please make sure your area has covered with stable 2G network signal. It supports input voltage of 90~250V AC (50/60Hz), the max. current is 16A, the max. power is 3500W. It supports input voltage of 90~250V AC (50/60Hz), the max. current is 16A, the max. power is 3500W. 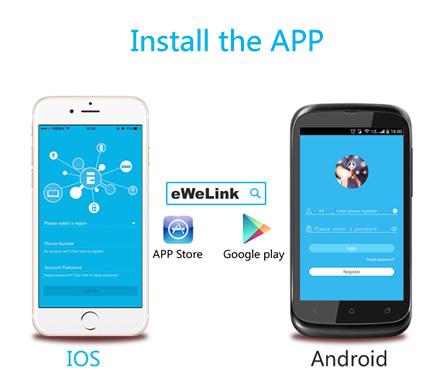 Search “eWeLink” in APP Store for iOS version or Google play for the Android version. 2. Insert a SIM card. 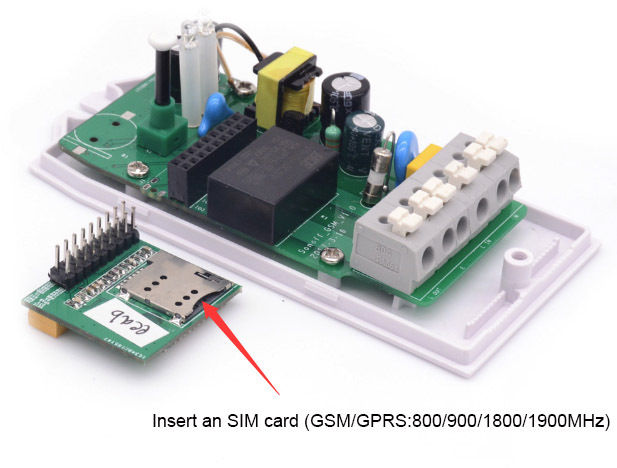 The SIM card must be in GSM/GPRS:800/900/1800/1900MHz. Note that the black antenna sticks to the case, don’t tear it down. Please note the corner missing side should be outside. 4.1 Power up your device. It takes about 10 seconds to boot up, please wait. 4.2 When the LED indicator is lit, activate the Sonoff G1: press and hold the button on G1 for 5s, the LED indicator status will quickly blink then change to slow blink. 4.3 Open eWeLink App. Click “Add”. 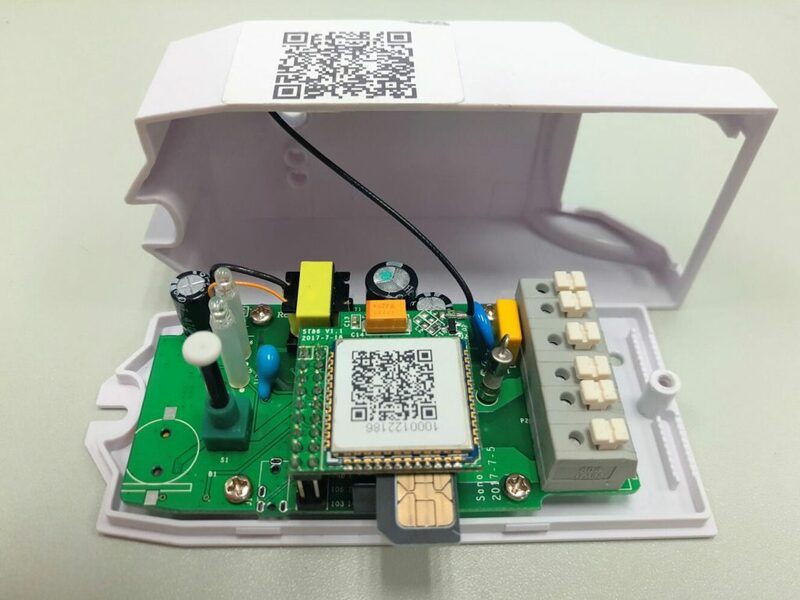 4.4 Click to select GSM Device. You’ll enter into a QR code scanning interface, please scan the QR code on the device. Note: please update your app to V2.4.0 or higher so that you can add the GSM device no matter which languages you are using. 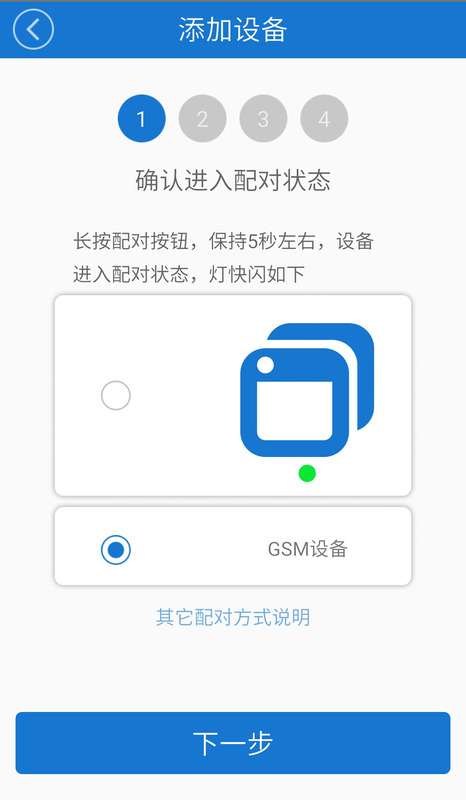 If you are using versions lower than 2.4.0, you’ll need to switch the language to Chinese to add the device. So if you are using other languages, you’ll need to switch to Chiese “简体中文” first. Select “GSM设备”, click “下一步”. After the adding process completed, please switch back to your own language. 4.4 The App will auto-add the device. 4.5. Name the device to complete. 4.6. Maybe the device is “Offline” on eWeLink, for the device needs some time to connect with the server. When the signal LED on, the device is “Online”, you can control it now. 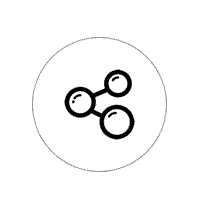 Turn on/off by tapping on device icon. Switch status will simultaneously display on the interface. 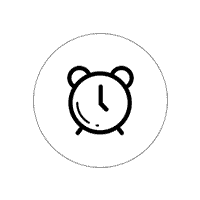 Support max 8 enabled single/repeat/countdown timers for each device. Scene allows triggering on/off your devices automatically. Scene Settings is in the upper right corner of Device List. 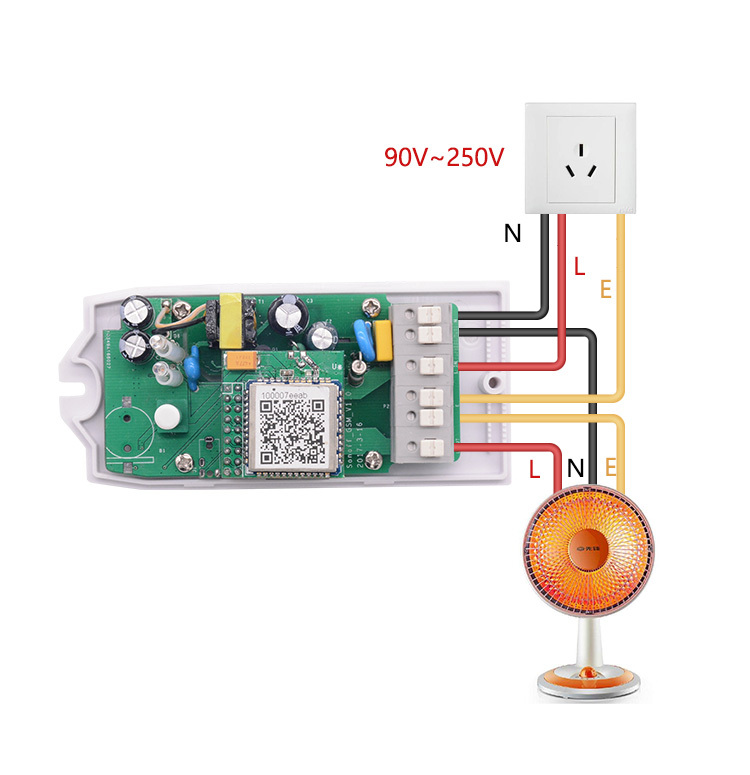 You can set up scenes or smart scenes to trigger on/off Sonoff G1. One device one owner. 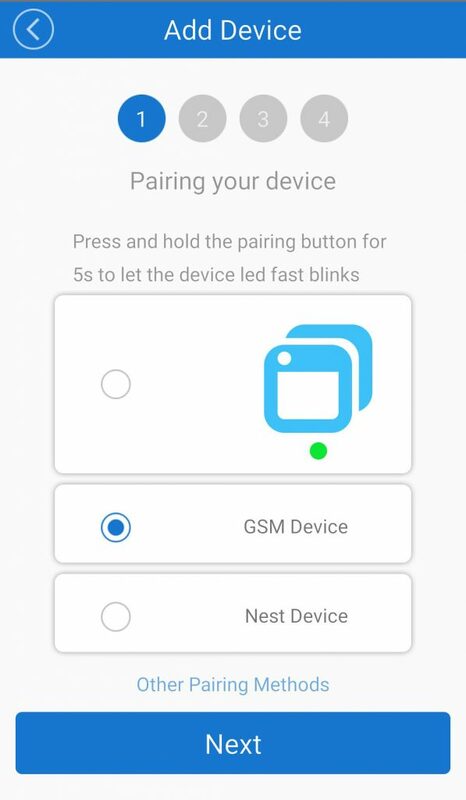 Other people can not add the devices that have already been added. Q: My device does not work after powered up? A: After powered up, the device needs a minute to connect to the GSM/GPRS signal. If the device dose not work for a long time, please take it outdoor or open the case and try again. When the LED blinks, the device starts to work. Read the detailed FAQ on Itead Smart Home Forum. If the answers can’t solve your problem, please submit a feedback on eWeLink.